The recent changes in snowmobile technology are even more radical than the change in ski shape over the last 15 years. Emissions are incredibly low and the sport of snowmobiling is exploding. But what does that mean from an environmental perspective? How does snowmobiling compare to other winter sports in terms of its impact? 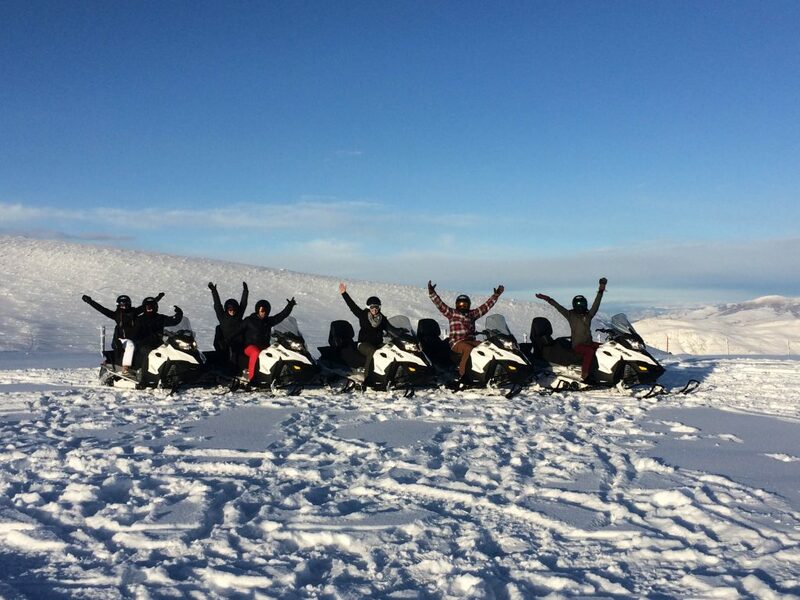 From young families to serious outdoor enthusiasts, snowmobiling is a fast-growing sport. Many skiers enjoy a quiet day away from the busy slopes and a chance to do something different with their families. Here at Sage, it’s not uncommon for us to see three-generations of riders together on a tour. The number-one reason our customers say they go snowmobiling is to “experience the wilderness.” To us, this isn’t surprising at all. 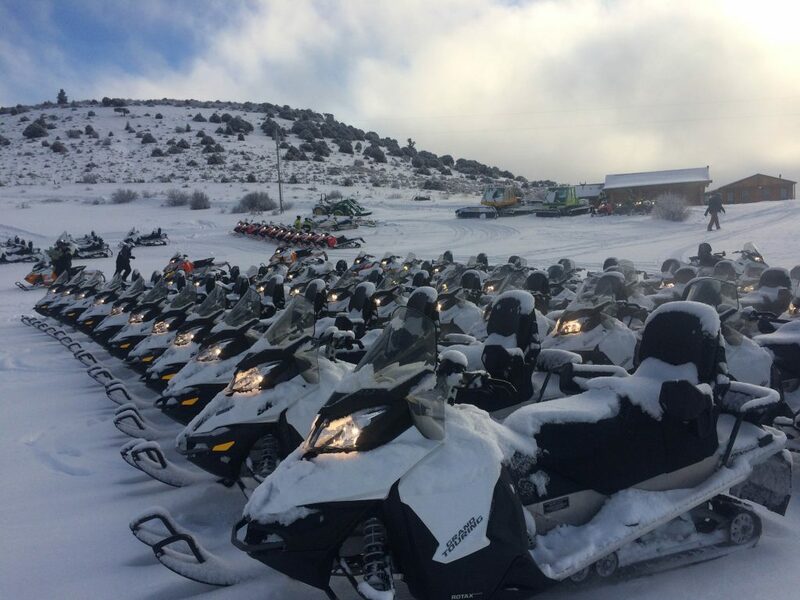 It’s true, that backcountry experience is the primary draw for most snowmobile riders. Unfortunately, there’s also a great deal of misperception about snowmobiling. Some folks see them as noisy and polluting. In reality, neither is true. Our modern snowmobiles are incredibly quiet. You are more likely to hear the crunch of the tracks on the snow than you are the engine. And with low emissions and no smell, snowmobiles offer a perfect escape from the bustle of the ski slopes into the tranquility of the mountains. Our 6,000-acre private mountain near Vail and Beaver creek is home to resident mule deer, elk and other wildlife. Our riders frequently see wildlife here on the mountain, where they stay undisturbed through the winter. In terms of environmental impact, a snowmobile ride is far more “green” than a day of riding ski lifts. All of our guided trips give our guests the opportunity to stop, look, listen and just enjoy being still in these stunning places. In the end, our guests’ favorite part of these trips is also our favorite part. We’re here because we love the experience. We are skiers too. 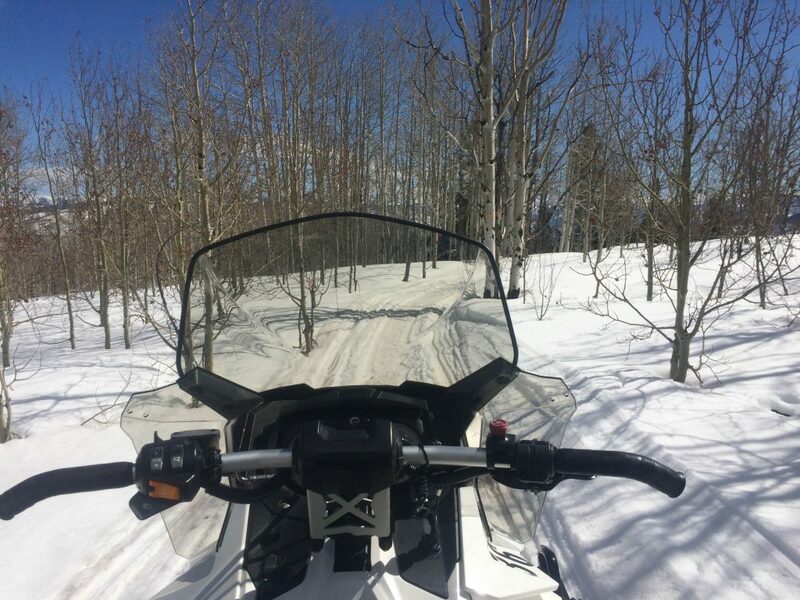 But a snowmobile ride offers the chance to escape from the crowds and experience the still silence of the backcountry and the mountains in winter. 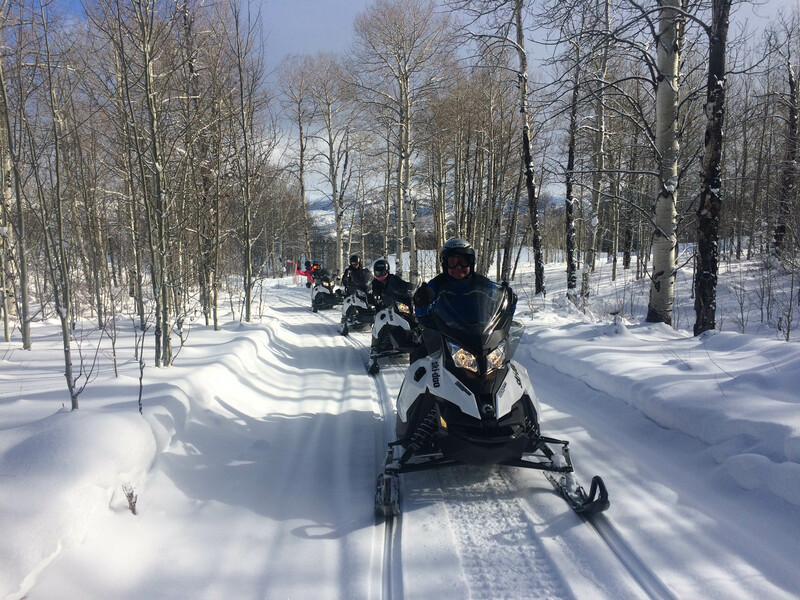 For more information on our guided snowmobile tours, please take a look at our Snowmobiling Page. Or give us a call at 970-476-3700. 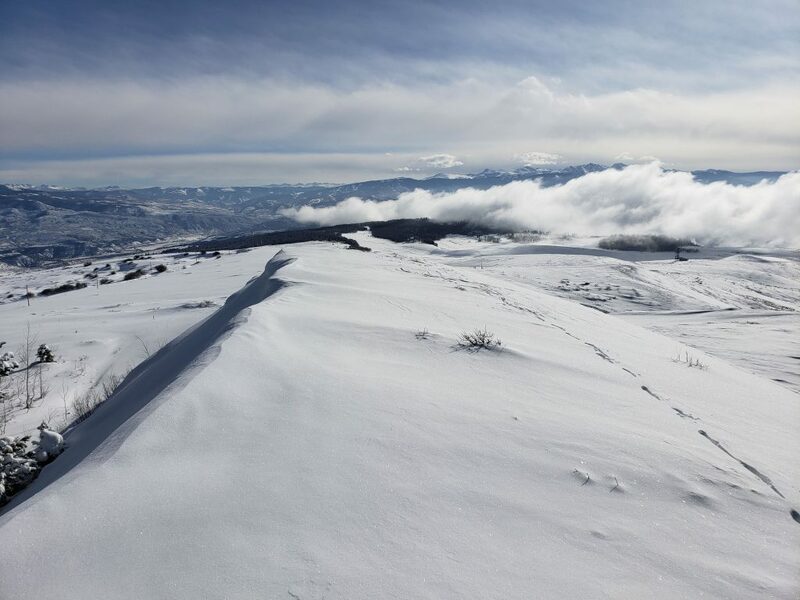 We hope to see you here for a snowmobiling adventure soon! 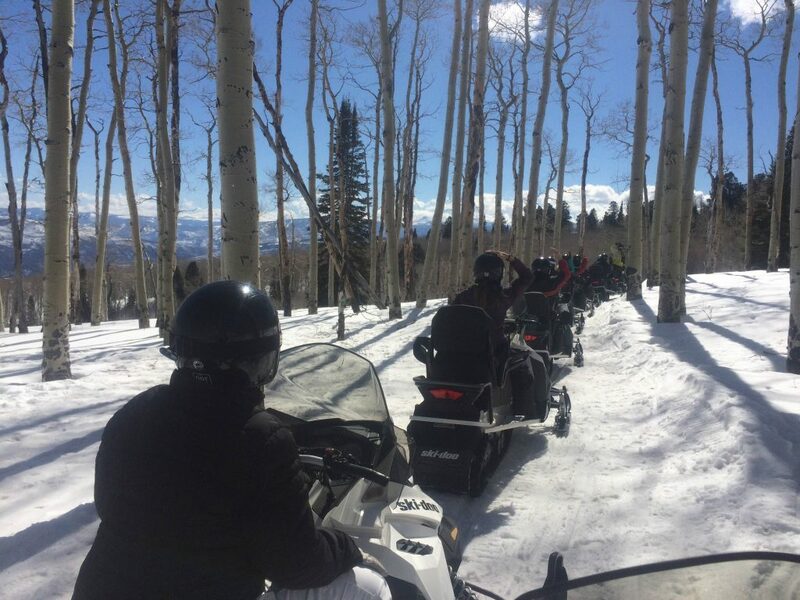 The team at Sage Outdoor Adventures is thrilled to announce broad new improvements to an already highly rated snowmobile program; in fact, it’s the top rated outdoor activity in Vail, according to TripAdvisor. New improvements this year at Sage Outdoor Adventures include a totally redesigned trail system, and a new state-of-the-art snowcat for improved trail grooming and maintenance. 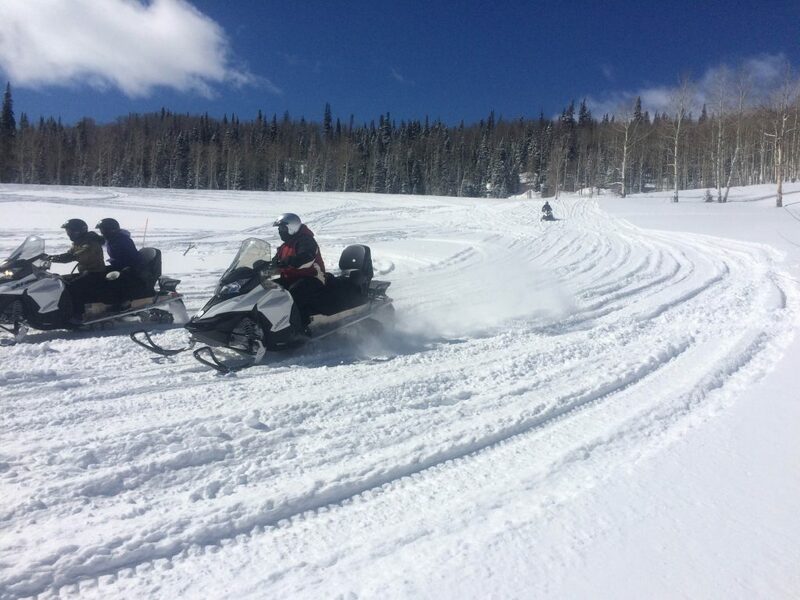 Over the past several months, the guides and designers of Sage’s snowmobile trail system have been hard at work. The team recently completed the redesign and building of a new network of trails. Sage operates on a private ranch near Vail, a property that covers more than 6,000 acres. The area has proven to be an ideal base of operations for snowmobile tours, with 2,500 feet of vertical relief on a north-facing mountain. Sage’s base area sits at 8,100 feet above sea level, the same as Vail and Beaver Creek. Also new this year, Sage has purchased a 2018 Prinoth Husky Snowcat. This state-of-the-art cat will be added to Sage’s grooming fleet, and will allow the team at Sage to maintain the best possible trail quality. 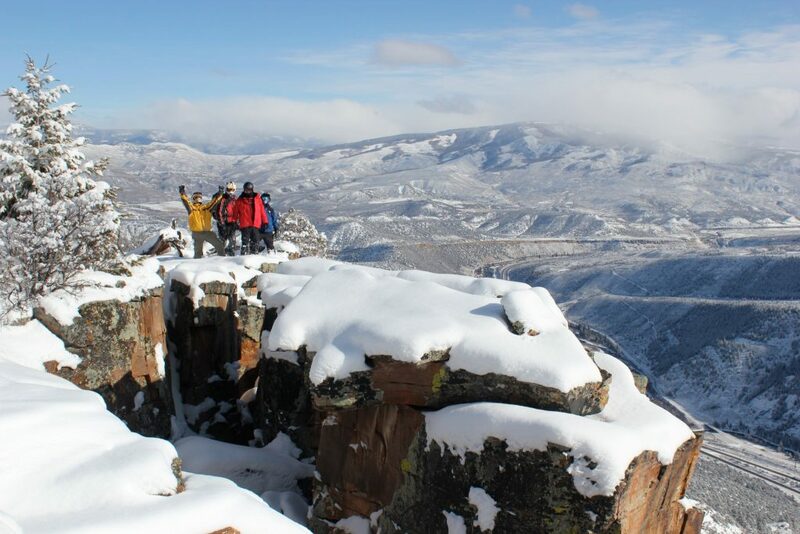 About Sage Outdoor Adventures: Headquartered in Vail, Colorado, Sage is a client-focused organization, whose goal it is to facilitate creating memories, connecting with family and friends, and most of all, just plain having fun. Offering whitewater rafting, ATV tours, horseback riding, fishing, sporting clays and snowmobiling, everything is planned and executed with one goal in mind: the guest experience. Learn more at sageoutdooradventures.com.